The Partial Products Method is one of the first multiplication strategies that your child should learn. 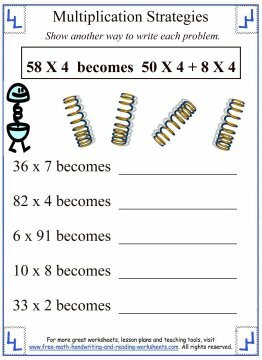 It's a way of simplifying double-digit multiplication problems and it is crucial to developing long multiplication problem solving skills later on. Using this strategy requires an understanding of place value and number expansion. You may want to take some time to review these concepts by visiting the Place Value Worksheets. 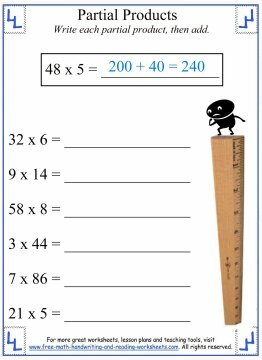 The Tens and Ones Place Values will be most relevant to these exercises. How Does The Partial Products Strategy Work? Instead of multiplying 9 x 3, carrying the two, then multiplying 9 x 6 and adding the two (this is how I learned it in school), you break the double digit number into its place values. The problem then becomes 60 x 9 plus 3 x 9. When written out on paper, it's more time consuming to work the problem out this way, but the school systems are shifting from drawn-out math problems to faster mental-math based strategies. When I was working in the casino and figuring out large payouts, this was the quickest way (for me) to do it. I know that to many people it seems like an extra step, but it helped me to work out problems much quicker. It might help your child as well. 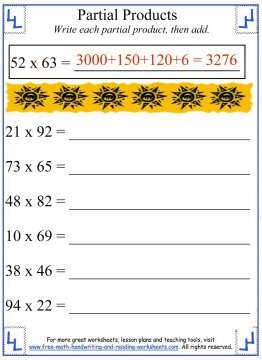 Print out the worksheets below to work on expanding numbers into their place values and multiplying them. 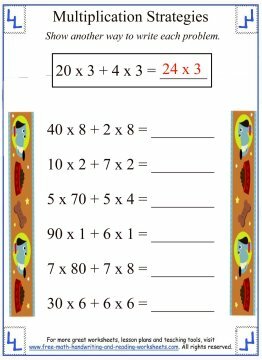 In the first paper, students are given a multiplication problem and must expand it out into two different problems. This activity is more concerned with making sure that students understand the process rather than with getting the correct answer. The second activity sheet builds upon the first. Here students will need to write the answers to each partial product and then write the final answer as well. The next printable works in reverse. 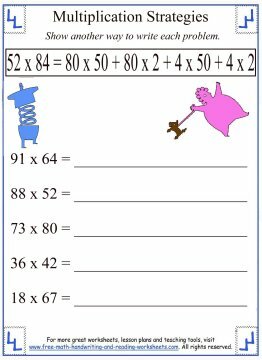 Students are given two different problems and must combine them into a single multiplication problem. Sometimes, presenting the material in a different way can make it 'click' for students. The final two papers are just like the first two except there are two double digit factors. Make sure your child understands the basic concept before attempting these worksheets. 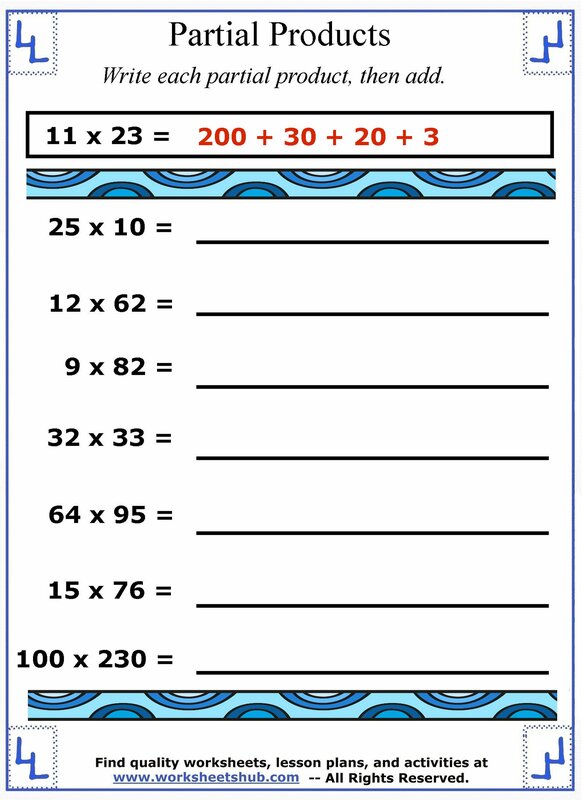 For more multiplication strategies, worksheets, and resources, see the links below.